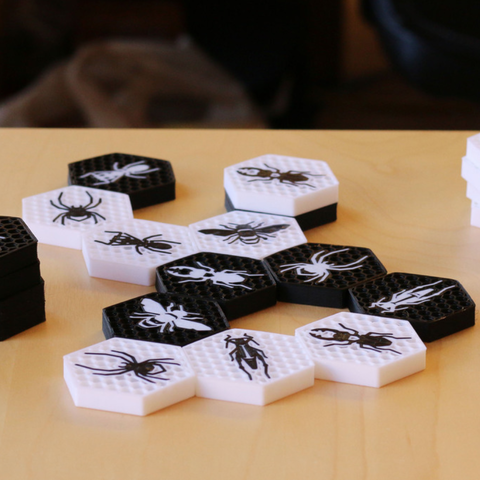 Hive is an addictive "go-anywhere" game which can be played without a board; you just need these tiles! The object of the game is to capture the opponent's queen bee by completely surrounding it while avoiding the capture of one's own queen. Sounds easy, but it's tricky! Print these tiles, grab a friend, and give the game a go!